Jongmans, S.-S.T.Q. (2016, March 3). 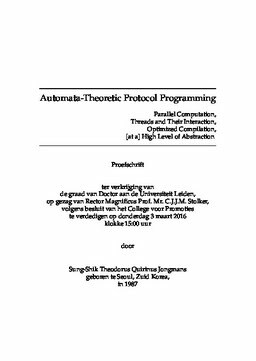 Automata-theoretic protocol programming : parallel computation, threads and their interaction, optimized compilation, [at a] high level of abstraction.